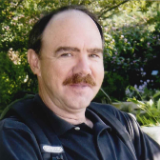 Daniel James Gower, 71, of Kansas City, MO passed away March 30, 2019. He was born on January 27, 1948 to Ival Andrew and Ethel Irene (Pollock) Gower in Kansas City, KS. Dan grew up in Kansas City, KS and graduated from Washington High School in 1966. As an adult he lived in Kansas, Colorado and Tonganoxie, KS and was currently living in Kansas City, MO. Dan was a member of the International Union of Operating Engineers – Local 101 and the Kingdom Messianic Congregation in Shawnee, KS. He was preceded in death by his wife Debra Ann Gower, his brother Timothy Andrew Gower and his mother and father. Dan is survived by his nieces Michelle Rawlings and husband Kelly and Cristi Lynn Campbell and husband Rich; great nieces and nephews Madelyn Mothershead and husband Taylor, Rachel Rawlings and Kaylin, Kylie, Tyler and Karli Campbell; uncle Lyle Smith and wife Diane; other relatives and many friends. Funeral Service: 12:00 p.m. Wednesday, April 3rd at Kingdom Messianic Congregation, 7230 Quivira Rd. Shawnee, KS 66216. Arrangement by Hixson-Klein Funeral Home, Gower.